Sambhal is a Muslim dominated city of Uttar Pradesh, India. It’s a part of Moradabad Division and is known as “Bricks Manufacturing City” with an average literacy rate of 48.28%. Study centers play a pivot role in Sambhal’s Cultural, Educational and Technical Progress. The city is imparting higher and quality education to the students with the help of some famous education centers like Govt. PG College, ITI’s Colleges, Azad Girls Degree College, Grandmark Institute of Technology & Management and Hind Inter College etc. Industrial Training Institutes (ITI’s) are post-secondary Schools in India which offer more than 130 Skill Specialty courses to students to train them technically and professionally. After completion of ITI, tradesman can get Apprenticeship Training. The scheme is implemented by DGT, Under Ministry of Skill Development and Entrepreneurship. Minimum age requirement is 14 years for 6 months to 2 years’ duration courses. Mandatory qualification to enroll in these courses is matriculation. Admission Procedure for the various courses is done every year in August. During the training, trainees get paid monthly also. The city has 3 Govt. ITI’s and 6 Private ITI’s. 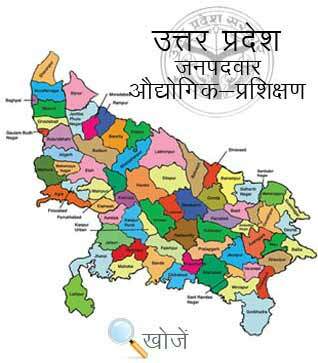 In Uttar Pradesh, Vyavasayik Pareeksha Parishad (www.vppup.in) is responsible for organizing the entrance examination for admission in different trade courses in state ITI’s. To know more, students can visit online website www.upiti.in which provides them all the necessary information regarding online downloading of application forms, counseling dates, downloading of admit cards, checking of results etc.